When we were planning our trip we found lots of advice saying you could travel through Montenegro in a couple of days. I’m so glad we didn’t follow that advice! Sure, you definitely could but I don’t think you should. Even though it’s a pretty tiny country, Montenegro has incredibly diverse scenery, not to mention some pretty amazing towns to explore. Give yourself as much time as you can to meander your way through and you won’t regret it. The other reason I recommend giving yourself time when travelling to Montenegro is that it can take longer than anticipated to get around. Given it’s a country that includes lots of mountains, canyons, lakes and coastline the roads are often not all that direct. 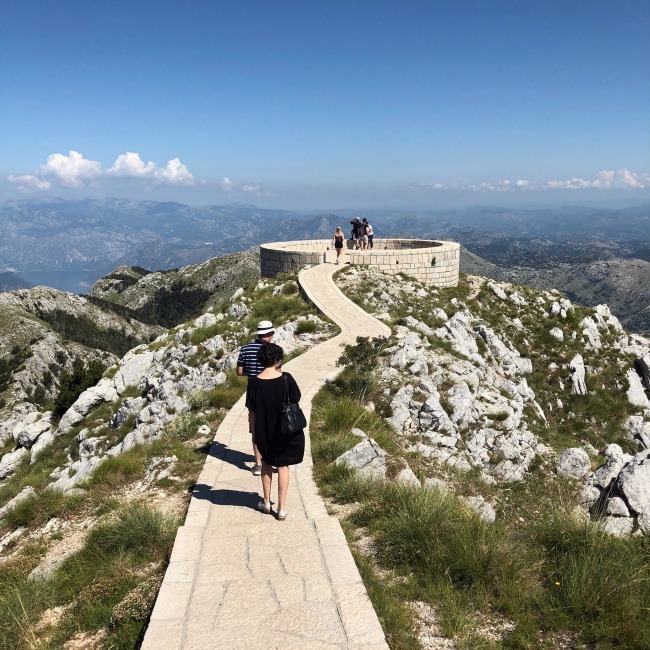 Think meandering roads that go up and around mountains, or that skirt the edges of Lake Skadar for kilometre after kilometre! There are also not a lot of routes between places, so traffic can build up and slow things right down. Therefore, just because places might look super close on the map that doesn’t necessarily mean you’re just a short drive away! 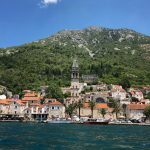 One of the best accidental experiences we had when travelling to Montenegro was booking accomodation that happened to be owned by locals who were happy to show us around. This changed our itinerary and gave us experiences we otherwise never could have had. If not for Lazar, we wouldn’t have visited Cetinje or the Njegos Mausoleum, and without Nik who knows what we would have seen! We paid them a daily rate and what we got in return was priceless. 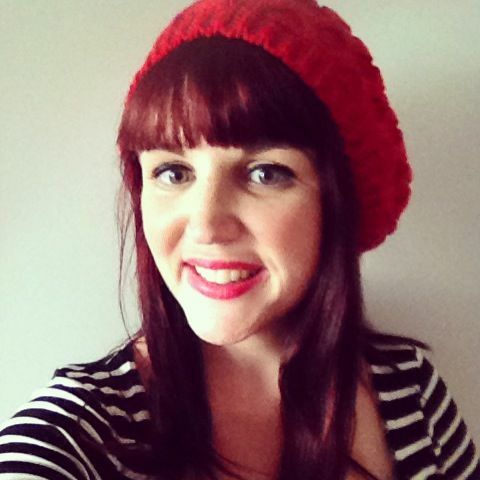 All it took was reaching out as we were booking accomodation and what unfolded was almost too good to be true. Our original plan was to hire a car and drive ourselves, but thanks to the above we actually didn’t need to do that. Nevertheless, if you’re planning on travelling to Montenegro I highly recommend doing some car travel if you can. 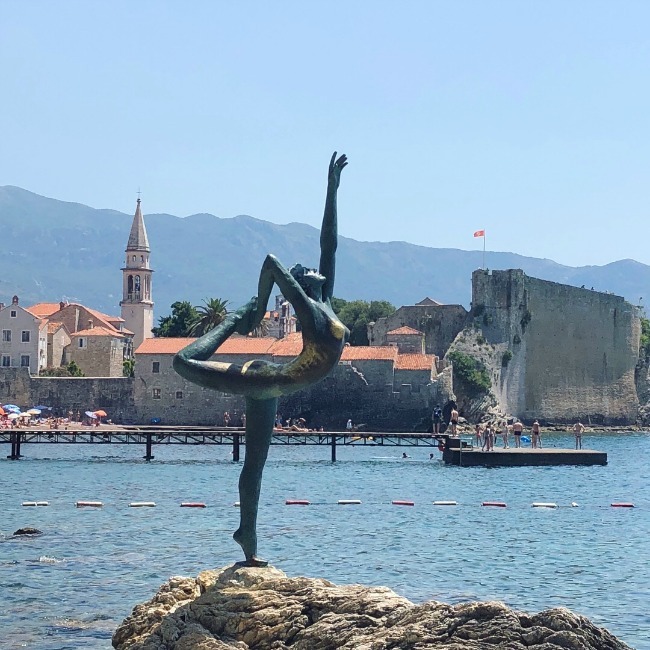 We saw so much more of the country that way, and got to stop in some pretty special places (like the lunch we had in Godinje) that we otherwise could not have done. With such an ever changing landscape we found ourselves wanting to stop the car and take in the view constantly, and you just can’t do that on a public bus! We also spent a lot of time meandering along back roads and in places that were pretty tricky to get around even in a car. But they would have been impossible without one! There is however a pretty spectacular looking train trip that is on my to-do list for when I go back! To really make the most of all Montenegro has to offer you have to be ready to work a little for it. Not only are lots of the old towns walled, and therefore car-free, but many of the best things to see require the climbing of quite a few stairs. The views are always worth the effort, but I recommended making sure you take appropriate clothing and footwear, particularly in the warmer months. We lost count of the number of people we saw struggling to climb up to forts wearing strappy sandals! 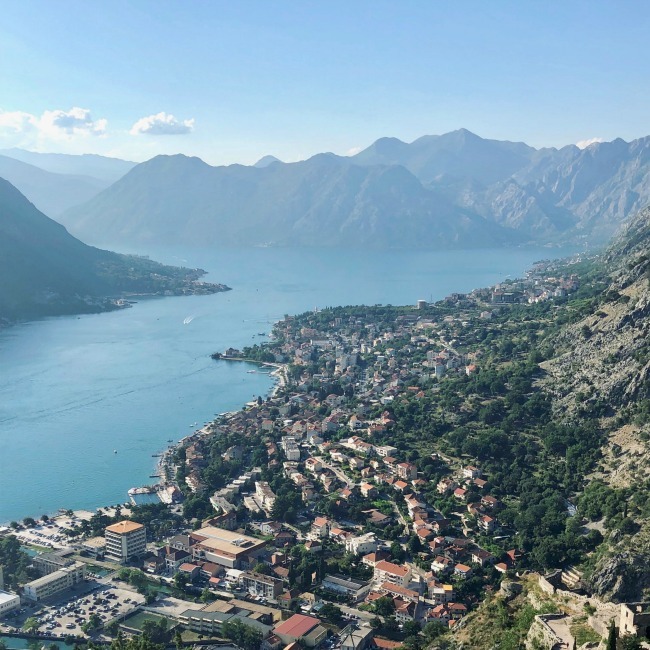 If you’re planning on staying within the old towns (like we did in Kotor and Perast) you will need to walk from the entrance to the town with your luggage, so bear that in mind as well. Food is clearly a big thing to Montenegrin culture, but there are a few things to be aware of. Firstly, breakfast is not really a thing. Sure, places will be open for coffee (and we had some excellent coffee) but we often struggled to find anywhere to eat breakfast, particularly not as early as we had hoped. The places we did find often had a very short menu, with omelettes the main option. That was fine, but I definitely didn’t need any more omelettes for a while when we got home! Instead, we often picked up some muesli and yoghurt, or bread and cheese, from the supermarket and made our own breakfasts at home. Lunch and dinner are much bigger deals (lunch in particular), however it’s not the most vegetarian friendly country I’ve visited. Unsurprisingly seafood features pretty heavily on most menus, as well as lots of other meat dishes. There was usually a vegetarian pasta or two, some pizzas and some salads that were vegetarian friendly, but they were often the same from place to place which meant variety was a little low. Thankfully my sister and I could usually build a shared meal around a bunch of side dishes and salads so we could try different things which worked out well. A bit of flexibility is key! The other thing to be aware of is that when you order they will bring the bill to your table, and if you order more food or drinks they’ll just keep bringing additional bills. They don’t expect you to settle the bill(s) until the end, but it can make adding everything up a little tricky. 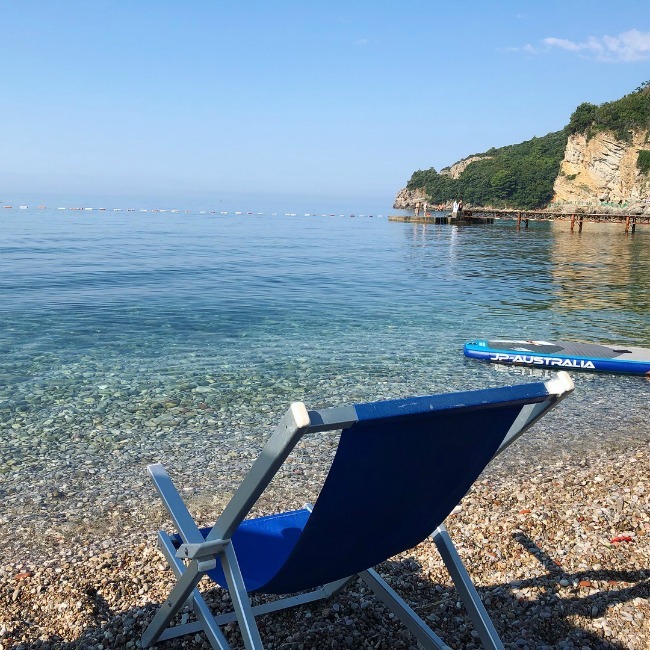 I know as Australians we can be pretty snobby about our beaches, so I thought it was best to ensure you know what to expect before travelling to Montenegro. As with a lot of coastal areas in Europe the beaches are more rock than sand, and that’s the case for most of Montenegro as well. There are some stretches of sand, and the size of the rocks also varied from location to location, but for the most part we’re talking proper rocks. Thankfully most of the beaches have lots of lounges you can hire which is much more comfortable than lying on the rocks! We also found that if we just wanted a quick dip to cool off it didn’t matter how busy the beach was because the water was usually much quieter. We just had to be prepared to not completely dry off before going home! 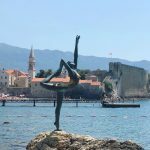 I was actually surprised when we arrived in Montenegro just how much English was spoken – and not just at big tourist locations. 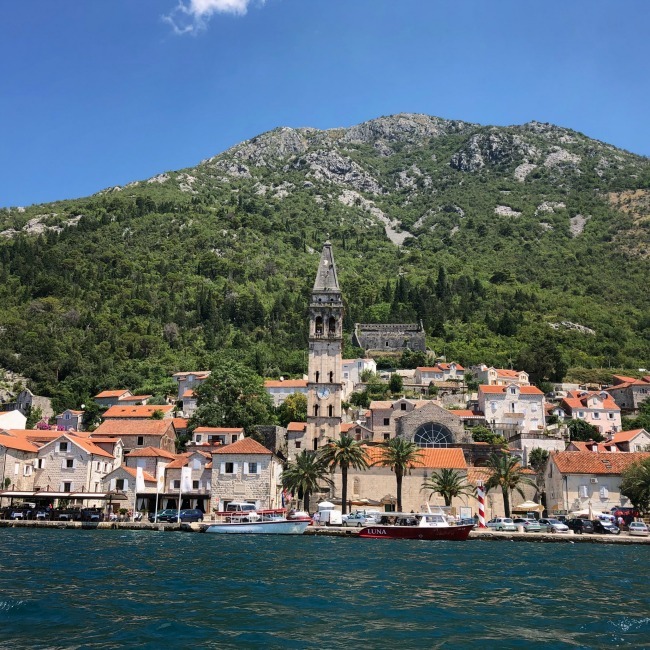 The time we spent in towns like Kotor and Budva we found pretty much everyone spoke English, which was less of a surprise given they are tourist hubs. However even in Perast, Cetinje and Ulcinj, which don’t seem to have as many English speaking tourists, we could almost always make ourselves understood. At the very least we could point to English options on menus or signs! Outside of the bigger towns it was a little trickier though, and it some spots there was zilch English spoken at all – which thankfully was never a problem as we only went to those places with locals! Other languages were probably luck of the draw with who you were speaking to – for example there were times I heard French tourists needing to switch to English to order food. Montenegrin towns are famous for their cats, and they are seriously everywhere. This was especially the case in towns around Kotor Bay (Kotor itself does a whole range of souvenirs that are cat themed! ), but we saw cats pretty much everywhere we went. For the most part they seemed well looked after and were friendly, but you wouldn’t want to have a serious allergy to them. 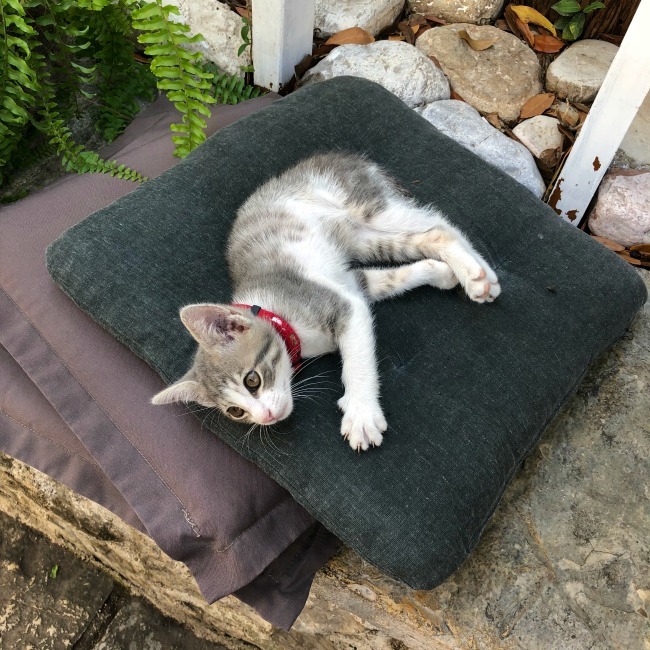 Personally I found the huge number of kittens, and the fact they would just come and walk around you while you were eating, seriously cute rather than annoying! I think it’s safe to say travelling in Montenegro has something for everyone. 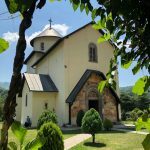 Whether you want to relax by a beach, wander through an old town, white-water raft down a canyon or explore century old monasteries, it seriously has it all. Best of all, all of these things are in close proximity to each other, so you can do them all if that takes your fancy too! With all that spectacular scenery you’ll definitely want to set aside some time to just sit and stare at it (maybe with a drink in hand!). 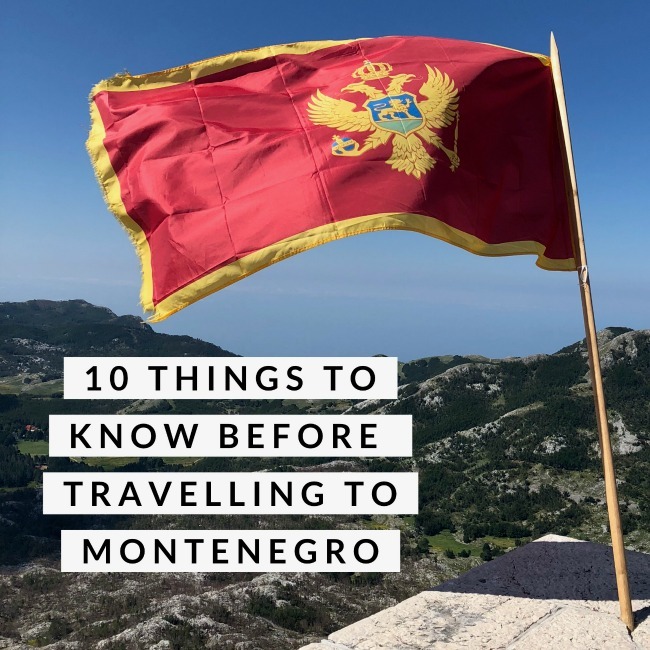 I hope these tips are helpful if you’re thinking of travelling to Montenegro! It sounds like a fascinating place to visit and the bit about cats has only encouraged me!